Act I Scene 3: Why Standest Thou Afar off, O Lord? Act II Scene 6: Why Seek Ye the Living Among the Dead? "Both [Harmonielehre and The Gospel According to the Other Mary] benefit from the full palette of the Berlin Philharmonic, from powerful lower brass to exquisite wind solos and sensuous strings; the melodic line halfway through Part 1 of Harmonielehre, a symphony in all but name, can never have been more beautifully phrased or recorded. Each performance brings its own special character, even when the same sounds are in question." "Purity of sound, rhythmic precision and attention to detail make this a recording quite unlike any other to date. If there’s no experience quite like hearing Harmonielehre live in a hall, this is certainly a very close second…Petrenko conducts [The Wound-Dresser] with taste and discretion…The luxuriously lifelike sound the engineers have so artfully captured here, and indeed throughout the entire set, gives Berlin the edge. This is a treat not to be missed." John Adams is one of the most important musical voices of America. His tonal language is at once unmistakable and of infinite variety. Minimalism mixes with imaginative orchestration and a jazz-inflected spirit to create a cosmos full of energy and colour that constantly reveals new facets. During the season 2016/2017 John Adams has accompanied the Berliner Philharmoniker as composer in residence. The orchestra performed a wide variety of his works, from the oratorio The Gospel According to the Other Mary and the famous Harmonielehre to more unfamiliar treasures. The concerts were conducted by chief conductor Sir Simon Rattle and outstanding guests: Gustavo Dudamel, Alan Gilbert and Kirill Petrenko. 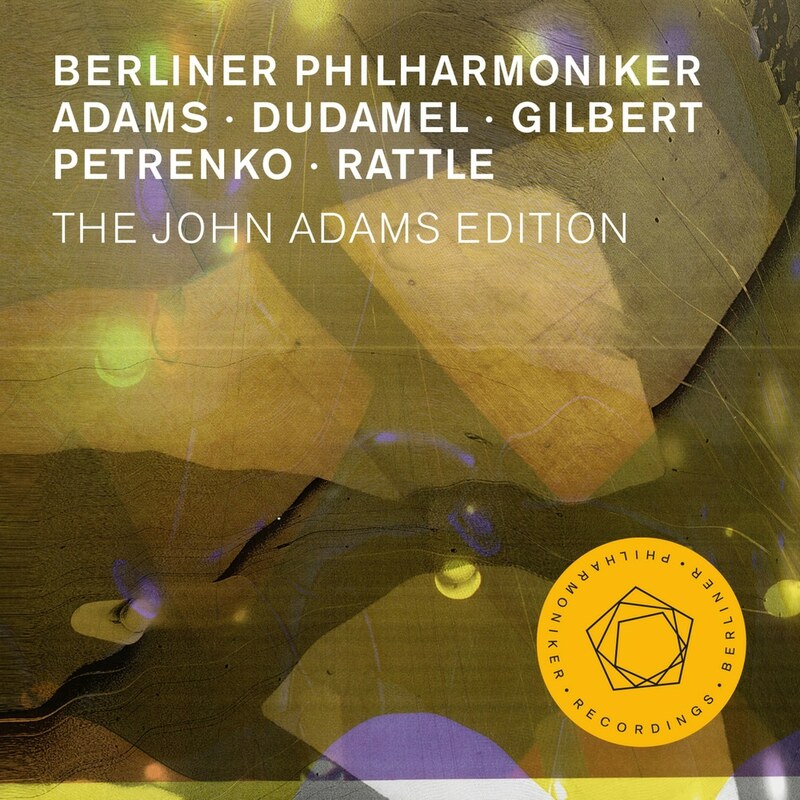 In the course of this partnership, John Adams himself also made his debut as conductor of the Berliner Philharmoniker. The design of the edition is by the world-renowned Turner Prize winning artist Wolfgang Tillmans.